Last weekend I travelled to London, Ontario to visit some friends. 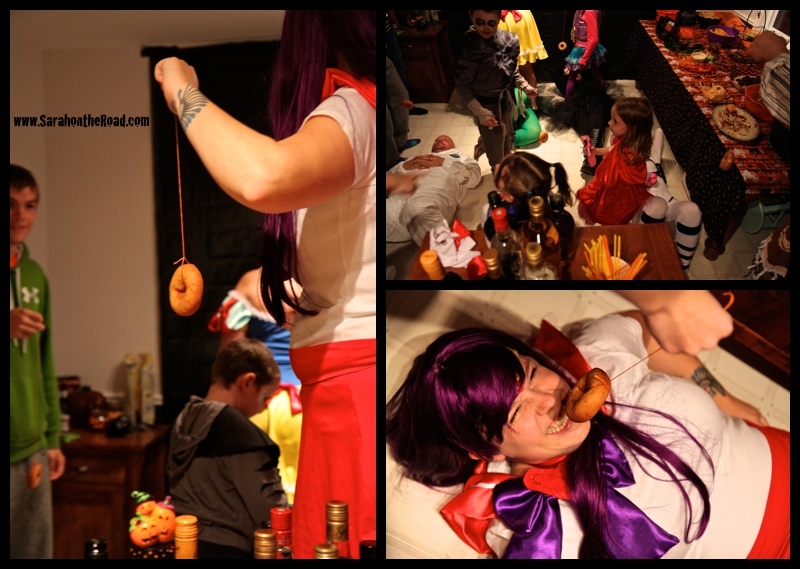 My friend Jen has an awesome Halloween Party every year…so I was able to attend that! 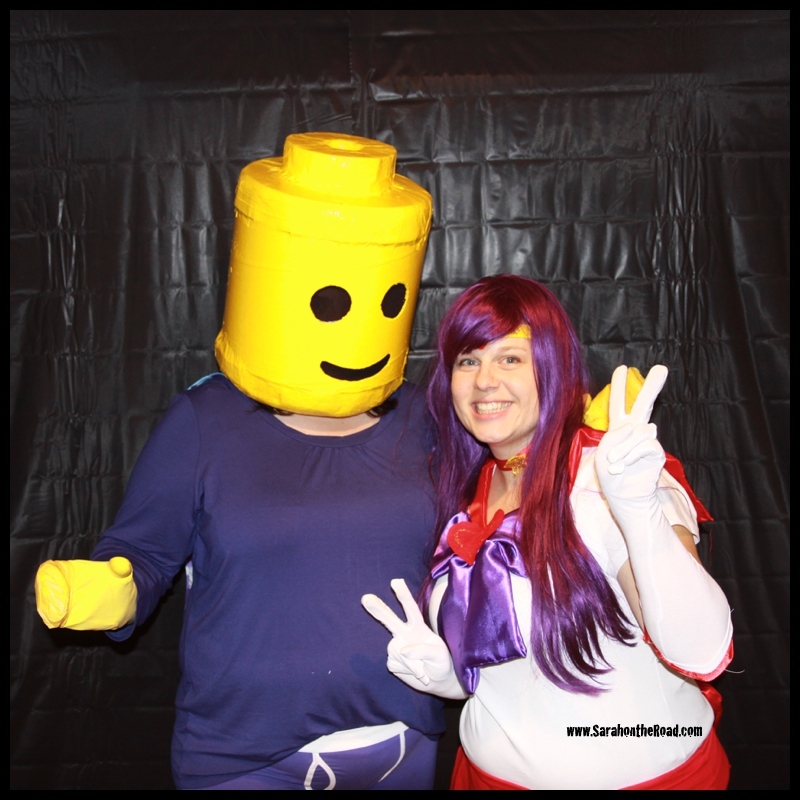 I was a Lego- Super-Hero… it was such a fun night! So London, Ontario is one of my favourite places to visit. Why? well four great friends live there with their hubbies and children…so it’s always great to go and catch up! So before the party I went to go visit a few friends that live in London! It was great to catch up with my friend Erin…and her hubby and daughter. Her husband loved my costume…and almost didn’t let me get it back! 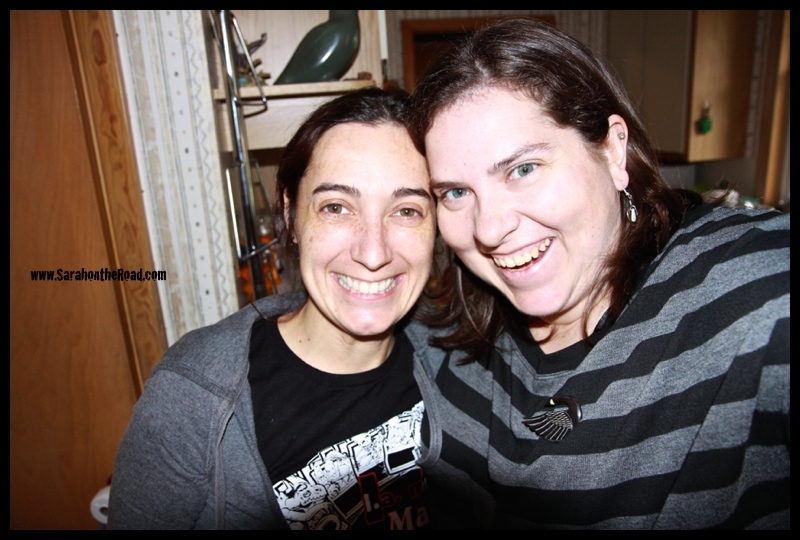 …it was so great seeing you Erin! I was able to slip in going to Starbucks with my friend Jen…such good conversation, can’t wait until the next one. 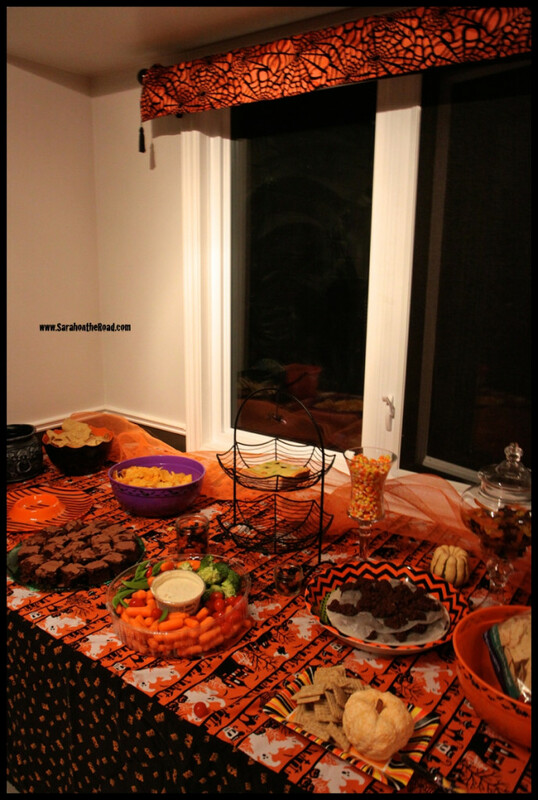 Then went back to Jen’s to get ready for the Halloween Party! 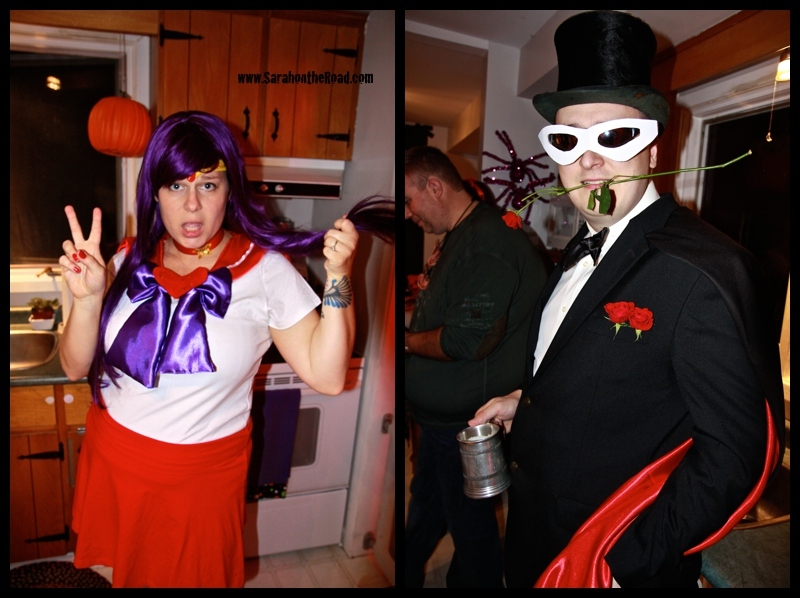 Here’s Jen and her husband… as Sailor Mars and Tuxedo Mask…(missing are their girls who were Sailor Moon and Sailor Luna)… Jen is so uber talented because she sewed all the costumes. The best costumes went to one of Jen’s friends…Julie! (I think this is the 3rd year in a row if not more… she’s gotten the prize for the best prize!) 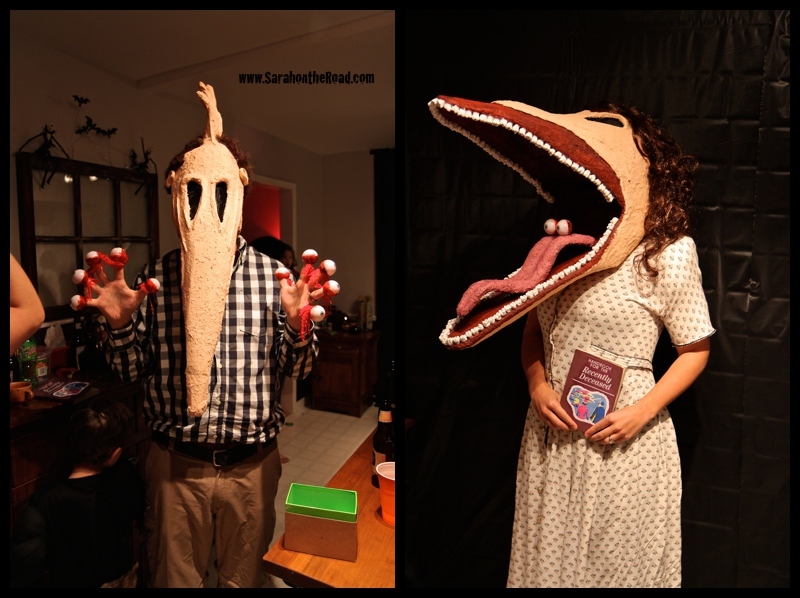 This year was awesome..she hand made these masks…can you guess who her and her husband were? Think Beetlejuice…. yep, Adam & Barbara Maitland! The icing on the cake for a perfect weekend was getting an email on Sunday morning letting me know that my friend Sarah’s twins had arrived! So before leaving to return to my mum’s…I headed over to visit with the twins in the NICU…they are doing well but might be in the NICU for a little while. It was so great to get to visit them! Sarah’s little boy held my hand when I put my fingers in his incubator… I also got to visit with Sarah, her husband and 3 other children who were at the hospital too. I couldn’t believe how grown up the kids had gotten since my last visit in January. It’s funny how kids grow fast eh!? It was the perfect ending to an awesome weekend! 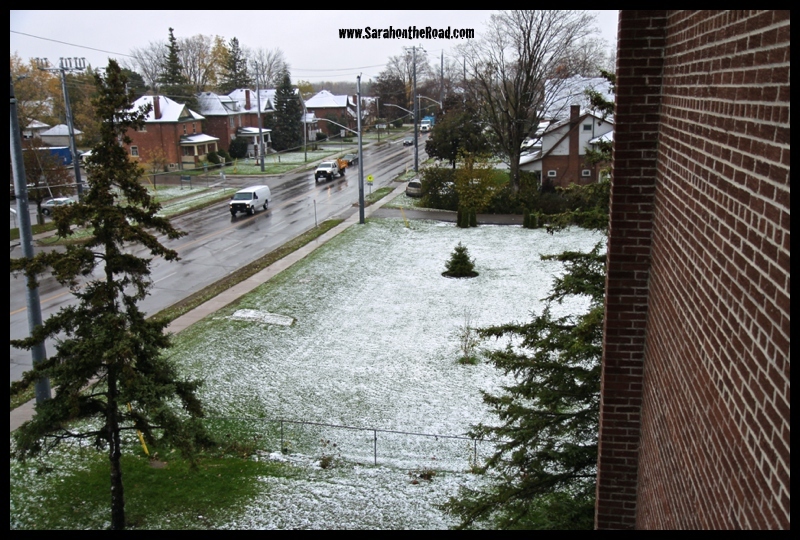 This entry was posted in Friends, Holidays, Visits to Ontario on October 31, 2013 by Sarah on the Road. This song has been on my mind all day… so I thought I’d share it with you. Yes, people I suppose this is a bonus side affect of having to stay at my mum’s to take care of her for 6 weeks…I’m keeping her current. Not sure what’s going to happen when I go back north though! 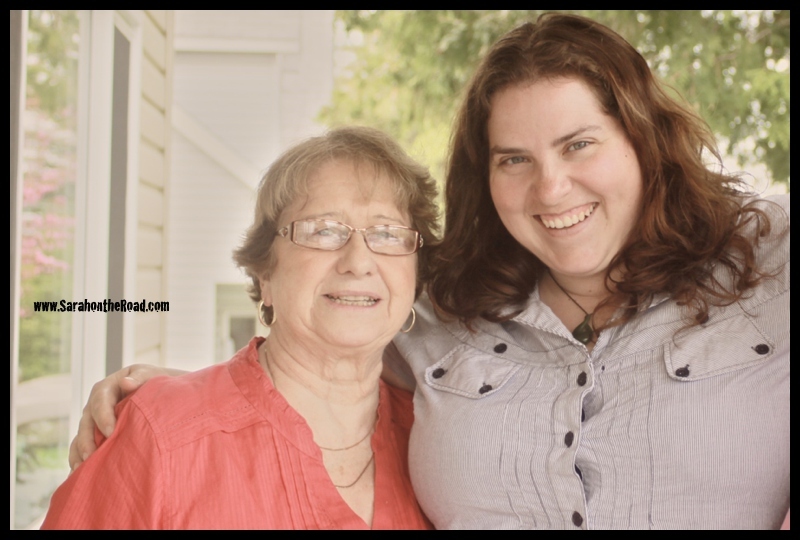 This entry was posted in Random, Rants & Reflections on October 29, 2013 by Sarah on the Road. Hope you have a great day. May all your dreams come true. 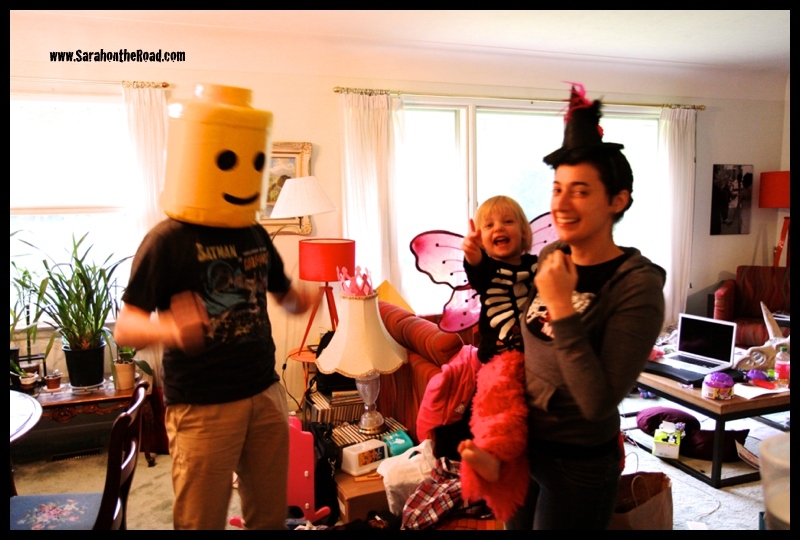 This entry was posted in Birthdays, Family on October 27, 2013 by Sarah on the Road. 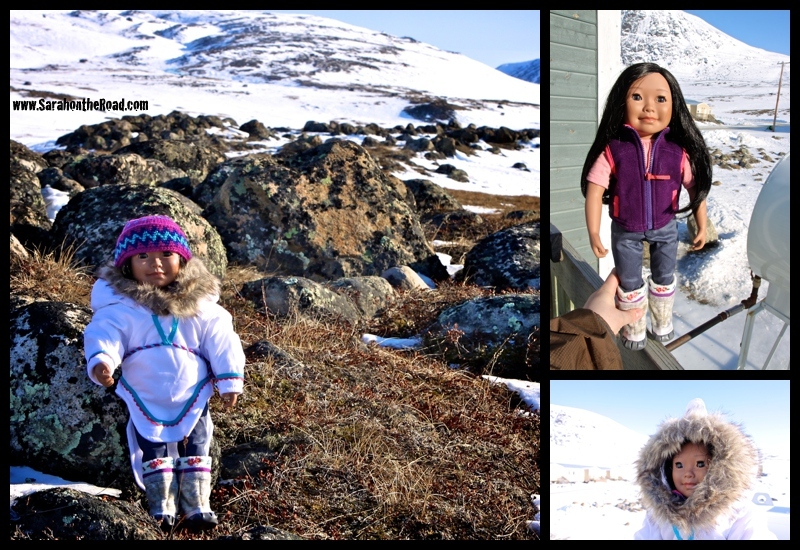 Remember when I blogged about the coolest doll ever made by Maplelea Girls back in the fall of 2011? You don’t…well go on…CLICK HERE to read about it, I’ll wait. 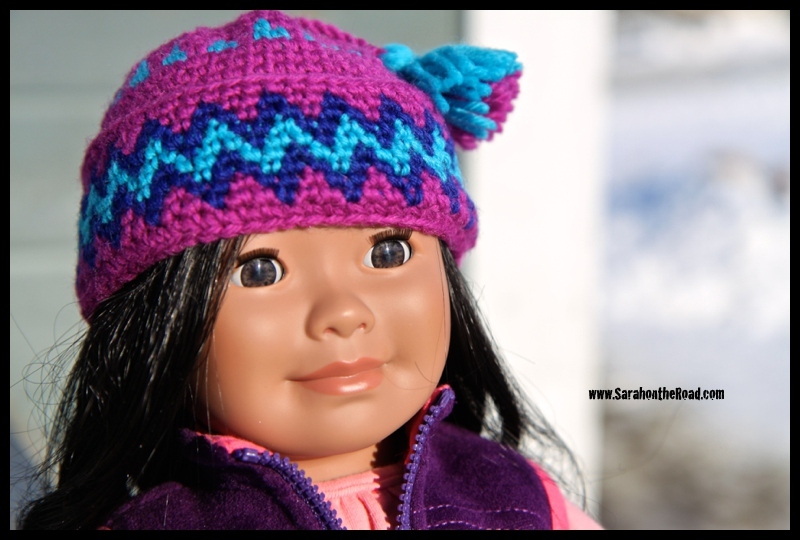 My gramma for Christmas 2012 gave me the funds so I was able to order a Salia Doll for my very own! 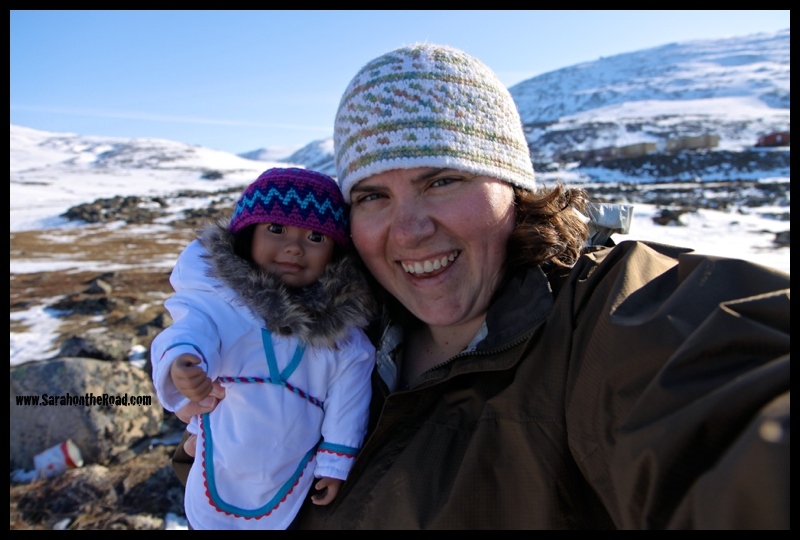 She loves dolls and always looks to give me gifts that are unique…so it was a perfect fit! I ordered my doll at the beginning of February. (I got back mid-Janurary and then had some ‘travel’ for work…so waited to order it until I knew I’d be back in Pang to pick it up from the post office…) It arrived March 1st, 2013…it had such pretty packaging! A few weeks later on March 31st…I took Salia out into the back yard to take a few photos. She’s so much prettier in person! The only thing I need for her is a “real” pair of kamiks. Her kamiks just don’t look right…so I think I’m going to ask around and see if I can find someone to make me a pair that will fit her…and buy them! FYI: this post was written a long time ago, and never published. (I think I never scheduled it to post, oops!) I suppose it’s never too late to post something right? I suppose Christmas is also coming…and Maplelea Girls are such a beautiful doll so it would be a perfect gift, young or old! Maplelea Girls have given me NOTHING for this blog post…all opinions are my own! 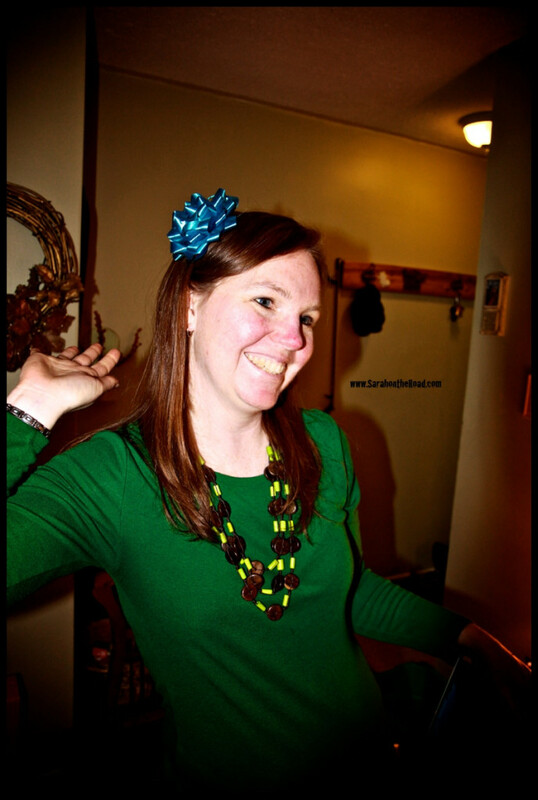 This entry was posted in Christmas, Family on October 23, 2013 by Sarah on the Road.